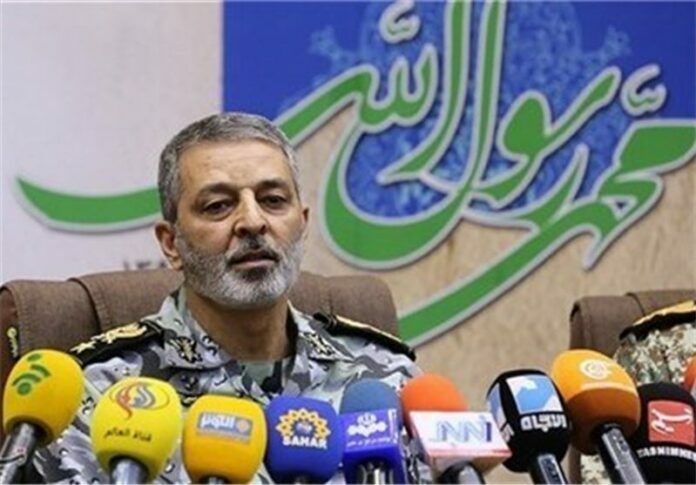 Iran’s Army Commander Major General Abdolrahim Mousavi denounced recent Western requests for talks with the Islamic Republic on the country’s missile power as “nothing new” and reaffirmed that the issue will never be subject to negotiation. “The global hegemonic system led by the US is confronting with the Islamic Revolution (1979),” he said, adding that some Western countries have been deceived by the US. “One day, they raise the nuclear issue and the other day, they talk about human rights (situation in Iran), and today, they are talking about the country’s defense and missile capabilities, which is not new,” the commander added. The remarks came as French President Emmanuel Macron and US President Donald Trump have indicated they want to aim for a new deal to curb Iran’s ballistic missiles program that would run alongside the existing international nuclear pact, also known as the Joint Comprehensive Plan of Action (JCPOA), according to media reports. Iran has repeatedly announced that test of missiles is an issue relating to defense of its territorial integrity and has nothing to do with the JCPOA.